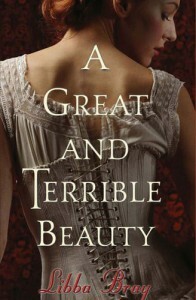 This trilogy is a great historical romance set in the Victorian era. As a group of girls grow closer to adulthood, they bond over shared escapes to a magical realm that lies somewhere between the boundaries of life and death. In this realm, the girls can make their own personal dreams come true.Book 1 is the weakest of the trilogy and takes a bit of patience to fully integrate into the author's world, but once you are there, the ride is a fun one. Books 2 and 3 earn a higher rating from me.